The survey is designed to help clinicians evaluate their knowledge, competence, and practice patterns related to the care of patients with hypoparathyroidism. Additional patient and healthcare provider resources are available here. The self assessment survey is not CME certified and, therefore, does not offer any CME/CE credit. 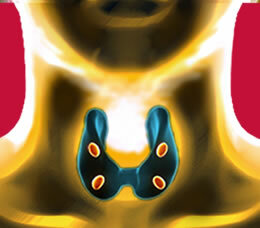 Overview: This online, audio-enhanced, CME-certified publication, sponsored by Med-IQ, discusses the current practices for diagnosing and managing patients with hypoparathyroidism, including the potential role of parathyroid hormone agents currently in clinical development. Designed for endocrinologists, this publication also features audio clips of expert perspectives from John P. Bilezikian, MD, and Bart L. Clarke, MD, on practical issues regarding state-of-the-art patient care. This activity was developed through a collaboration between the Endocrine Society and Med-IQ. This activity is intended for endocrinologists. Although a rare endocrine disorder, hypoparathyroidism (HPT) can have significant, but sometimes underappreciated, effects on quality of life (QOL). In some cases, HPT can be profoundly debilitating, causing severe muscle cramping and pain, but many patients may live relatively normal lives with pharmacologic management. Clinicians managing patients with HPT face a number of obstacles. Diagnosing HPT can be difficult, causes are varied, and symptoms may not be obvious. The long-term management of calcium balance is particularly challenging, but critical because severe hypocalcemia can be life-threatening. Clinicians who treat patients with this disorder must be well educated on recent advances in the diagnosis and treatment of HPT and must also be aware of effective strategies to improve the overall well-being and QOL of their patients throughout the course of this chronic disease. The Endocrine Society is accredited by the Accreditation Council for Continuing Medical Education to provide continuing medical education for physicians. The Endocrine Society has achieved Accreditation with Commendation. The Endocrine Society designates this enduring material for a maximum of 1.0 AMA PRA Category 1 Credit™. Physicians should claim only the credit commensurate with the extent of their participation in the activity. Nurse practitioners, physician assistants, and other healthcare professionals who successfully complete the activity will receive a Statement of Participation indicating the maximum credits available. The estimated time to complete this activity, including review of material, is 1 hour. This CME activity consists of a 1.0-credit online publication. To receive credit, participants must read the introductory CME material, read the publication, and complete the post-survey, evaluation, attestation, and post-test, achieving a minimum score of 70%. If learners do not achieve a passing score of 70%, they have the option to retake the post-test. The faculty, committee members, and staff who are in position to control the content of this activity are required to disclose to the Endocrine Society, Med-IQ, and to learners any relevant financial relationship(s) of the individual or spouse/partner that have occurred within the last 12 months with any commercial interest(s) whose products or services are related to the CME content. Financial relationships are defined by remuneration in any amount from the commercial interest(s) in the form of grants; research support; consulting fees; salary; ownership interest (e.g., stocks, stock options, or ownership interest excluding diversified mutual funds); honoraria or other payments for participation in speakers' bureaus, advisory boards, or boards of directors; or other financial benefits. The intent of this disclosure is not to prevent CME planners with relevant financial relationships from planning or delivery of content, but rather to provide learners with information that allows them to make their own judgments of whether these financial relationships may have influenced the educational activity with regard to exposition or conclusion. The Endocrine Society and Med-IQ have reviewed all disclosures and resolved or managed all identified conflicts of interest, as applicable. The content of this activity has been peer reviewed and has been approved for compliance. The faculty and contributors have indicated the following financial relationship(s), which has/have been resolved through an established COI resolution process, and have stated that this/these reported relationship(s) will not have any impact on their ability to give an unbiased presentation. Bart Clarke, MD: Consultant, Amgen; Contracted Research, NPS Pharmaceuticals, Inc. The Endocrine Society and Med-IQ staff associated with the development of content for this activity reported no relevant financial relationships. As a provider of continuing medical education (CME) accredited by the Accreditation Council for Continuing Medical Education, the Endocrine Society has a policy of ensuring that the content and quality of this educational activity are balanced, independent, objective, and scientifically rigorous. The scientific content of this activity was developed under the supervision of the Special Programs Committee of the Endocrine Society. The commercial supporters of this activity have no influence over the planning of this CME activity. The Endocrine Society and Med-IQ fully comply with the legal requirements of the ADA and the rules and regulations thereof. If any participant in this educational activity is in need of accommodations, please contact Med-IQ at 443 543 5200. For technical support, go to https://www.med-iq.com/index.cfm?fuseaction=content.support. For questions about obtaining CME credit, please contact the Endocrine Society at education@endocrine.org. For questions or comments about the content of this activity, please contact Med-IQ. Call (toll-free) 866 858 7434 or e-mail info@med-iq.com. The Endocrine Society and Med-IQ will record learner's personal information as provided on evaluations to allow for issuance and tracking of CME certificates. The Endocrine Society may also track aggregate responses to questions in activities and evaluations and use these data to inform the ongoing evaluation and improvement of its CME program. No individual performance data or any other personal information collected from evaluations will be shared with third parties. This activity is supported by an educational grant from NPS Pharmaceuticals, Inc.
© 2014 Endocrine Society. All rights reserved.